Should a nugget ever shift the variogram away from zero at distance zero? Where $K$ is a positive definite covariance matrix. 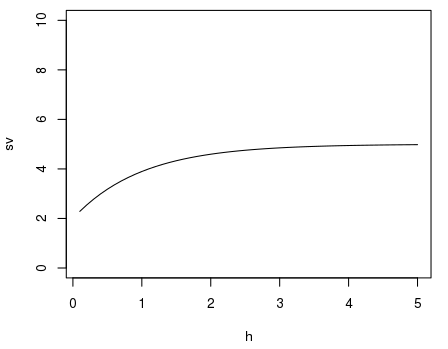 If the nugget $\sigma$ is applied to the covariance function $K$, then it seems to me that it would always be that $\gamma(0) = 0$, but that $\gamma(0+\delta)>\sigma$ for all distances greater than zero. Am I making a mountain out of mole hill here? Are there any reasons to prefer one form or the other? 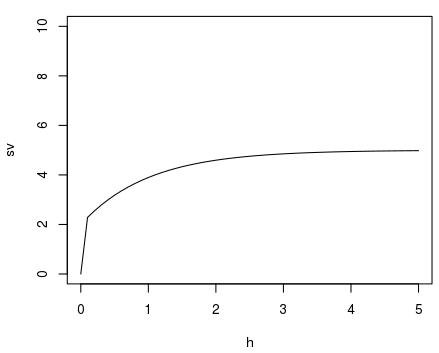 Based on the idea of nugget as allowing a non-zero offset at zero, I could see the former should be preferred: but this seems to imply that the nugget is no really part of the assumed covariance matrix. Browse other questions tagged spatial or ask your own question. Is it valid to use a model-variogram fit not on the full range of lag distance? What is the proper way of calculating the kernel density estimate from geographical coordinates? What does it mean that a variogram keeps increasing with distance? What is the computational complexity of the empirical variogram? If I have two samples of spatial distribution (tweets), how do I test if they're from the same distribution? How can I understand these variograms?